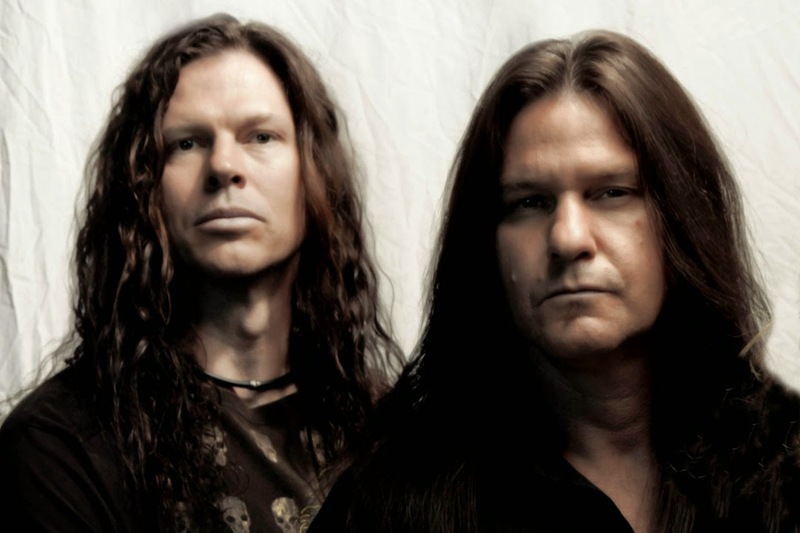 Former Megadeth duo Chris Broderick and Shawn Drover have confirmed the addition of Shadows Fall bassist Matt Bachand to the lineup for their new band, which also includes former Scar The Martyr singer Henry Derek Bonner. Both Broderick and Drover issued separate statements in late November – just hours apart – that they were leaving Megadeth to pursue their own musical interests. The band have been writing material for their debut album. The group will begin recording its debut album this weekend in Hartford, CT.
“Matt Bachand will be in the studio with me, as he lives not too far from the studio, as does the producer/engineer who will be recording drum tracks with me,” Drover adds. “As I write this I cannot reveal WHO he is yet, nor the record company we are signing with, etc. That's for the press release, which you will all see very soon. Believe me, this dude is a full on METAL PRODUCER/ENGINEER (I would never have anybody but that to do this kind of music)." As for Megadeth, bassist David Ellefson recently confirmed the band are moving forward with plans to hit the studio this year to record and release the follow-up to 2013’s “Super Collider”, with as-yet-to-be-announced new members in place of Broderick and Drover.